Following a meeting of the Northern League, Northumbria were accepted into the league at Division 1, Division 2 and Division 3 levels. 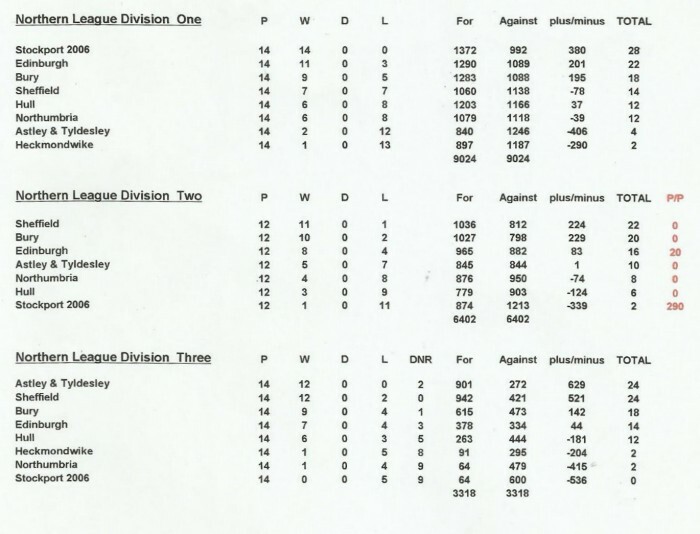 Division 3 was a training league for under 10s, Northumbria had little dealing in this group. 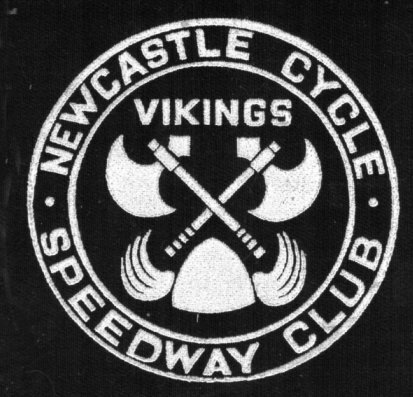 As there was now a track to ride, the Nomads nickname was dropped, and Northumbria became Vikings, last used in the 1960s. 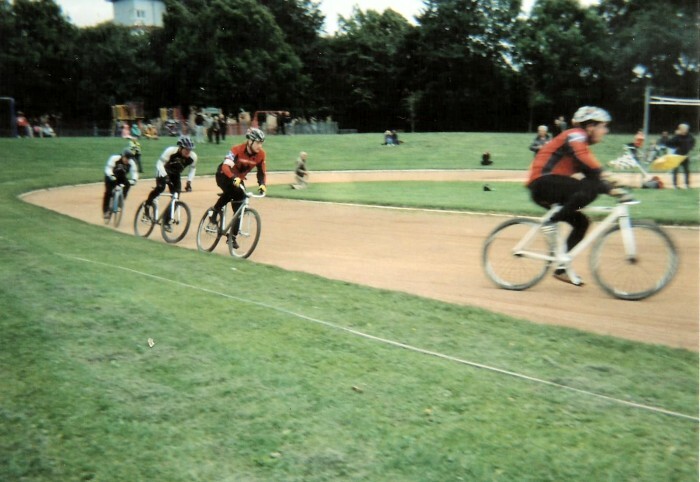 Ex riders in Glasgow had followed the Northumbria set-up with interest, and the old Cathkin Park track was updated. Officials at Northumbria, Edinburgh and Glasgow came up with a plan that would feature all clubs in a triangular tournament, with meetings at the three tracks. It was decided teams would be of roughly Division 2 standard. 3 March 2013 Edinburgh v Northumbria, Pre Season Challenge, Team-A Away, Lost 66-113. The season started with an early visit to Edinburgh for a pre-season challenge match. It was not to be a successful start. The home side were clearly much fitter and stormed to victory in both meetings. Gavin Parr top scored in the senior match, despite a fall in his first ride. Jason Keith was the only other Viking to get a win. The second meeting saw an improvement, but the visiting Vikings still went down by 22 points. Four Edinburgh riders were unbeaten. Gavin Kennedy 15+1(4), Ewan Kennedy10 (4), Mark Lee 14+2(4), Dougie Morgan 16(4), Paul Kelly 13+3(4), Neil Swanson 11(4), Colin Cairney 4+1(3), Sean Hewitson 3(3). Dan Redshaw 12, Fred Mitchell 7+2(3), Neil Magee 8(3), Glenn Parr 11+1, Jim Graham 11, Scott Latimer 8+2(5), Jim Smith 5(2), Keith Dyer 2(2). History was made today when Newcastle/Northumbria raced a league meeting for the first time in 21 years. A tough match was on the cards with home team Hull tracking British Champion Andy Angell and international rider, Adam Stephenson., Fittingly heat 1 went to Gavin Parr, and he went on to top score for the Vikings. Things went downhill after this with only Jason Keith and Mick Parr managing wins, both in their last rides. Jason's win over Angell was the Hull tider's only defeat, and Ben Swanborough also dropped one point. Racing was tough on a waterlogged track, which again showed up our lack of riding fitness. Adam Stephenson 11(4), Rich Pawson 12+1, Andy Angell 19, Craig Boddick 13, Ben Swanborough 18+1, Lewis Aylmer 13+1, Rob Stockton-Gardner 7+2(3), David Cooper 10+3(4). Gavin Parr 16, Neil Magee 6(4), Mick Parr 14, Terry Kirkup10+1, Jason Keith 14, Fred Mitchell 6+1, Dan Redshaw 5(3), Jim Graham 4(4). In Division 2, racing debuts were made by husband and wife Andy and Christine Amos-Adams, both having done well in the winter indoor training sessions. 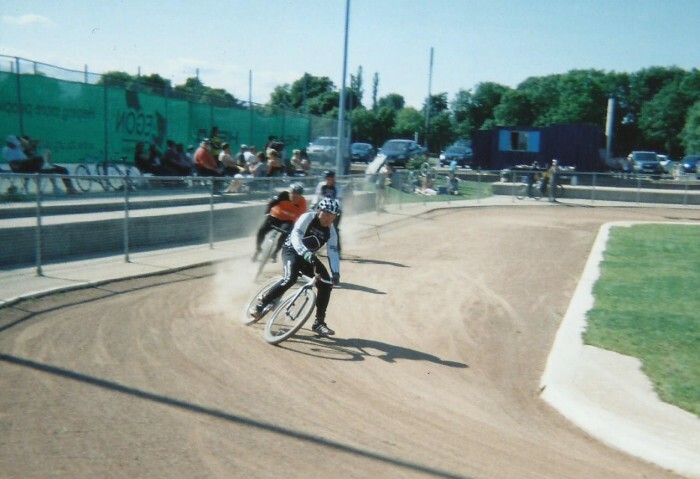 We believe this is unique in cycle speedway, having spouses racing for the same team. Both showed up well in the match where the visitors scored a surprise 26 point win. Everyone rode well, with Dan Wharrier catching the eye, dropping only one point. Keith Oldham on his first outing of the season weighed in with two wins from reserve. Harrison Davis 4(4), Rob Stockton-Gardner 14(4), Andy Cooper 12(4), Katy Greaves 4(4), Josh Bellis 6(4), Charlie Davis 8(4), David Cooper 11(3). Charlie Wade 3(3). Dan Redshaw 10+1 93), Scott Latimer 11 (4), Glenn Parr 13+2(4), Andy Amos-Adams 12+1(4), Dan Wharrier 18+1, Christine Amos-Adams 7+1(4), Norman Carson 7+3(3), Keith Oldham 10+1(3). The fixture list wasn't being kind to the team, as the following week saw them away again, this time to League favourites, Bury. A similar result to the Hull match occurred with Gavin and Mick Parr with Jason Keith leading the way again. Seven Bury riders were in double figures with Ben Higham and Jack Lush unbeaten. Jake Reed 13+2, Joe Pickford 13+1, Terry Norman 17+2, Matt Lush 13+2, Ben Higham 18+2, Jack Lush 19+1, Connor Simpson 13+2, David Cooper 1(1). Gavin Parr 15, Neil Magee 7, Mick Parr 14, Terry Kirkup 8+1, Jason Keith 11, Fred Mitchell 7, Dan Redshaw 6+2(3), Ash Patterson 3(3). Better news in the Division 2 meeting as Northumbria pulled off another win. Unfortunately after winning his first ride, Glenn Parr (Gavin's son) crashed badly and sustained a serious arm injury, putting him out of the meeting. Solid scoring by the rest of the team saw an eleven point victory. Star man was Bury's Joe Pickford with 19+1. Joe Pickford 19+1, James Barry 7, Ashley Taylor 13, Ryan Coyle 5, Connor Simpson 14, Kyle Taylor 11. David Cooper+Charlie Wade dnr. Dan Redshaw 15+1, Scott Latimer 16+2, Glenn Parr 4(2), Andy Amos-Adams 13+2(4), Dan Wharrier 14+1, Christine Amos-Adams 10, Jim Graham 8+2(4). Edinburgh were the visitors for the Viking's first home match of the season. Gavin Parr won heat 1 with a fine win over Lee Lawrence, but Northumbria were soon in trouble. By the half way stage Edinburgh had moved into a 54-37 lead. Edinburgh continued in the same vein in the rest of the meeting, ending up easy winners, 102-74. For Northumbria Mick Parr top scored with a very good 18 points, while Gavin Parr had an unlucky exclusion, otherwise was only beaten by Chris Newsome. There were no other decent performances in what was a poor overall show. G Parr 15, Keith Oldham 6+2(4), Mick Parr 18, Fred Mitchell 7+1(5), Jason Keith 11, Terry Kirkup 7, Jim Graham 5(4), Neil Magee 5(3). Northumbria's unbeaten Division 2 record also ended as Edinburgh picked up a 10 point win. Dan Redshaw and Dan Wharrier scored well, as did John Wilson on his season debut. A run of four 6-4s from heats 9 to 12 were enough to put the Falcons out of reach, despite a single 7-3 in heat 14.Mikey Hewitson dropped his only point to Jason Keith, while Jake Slight was unbeaten in four rides from reserve. Dan Redshaw 18, Scott Latimer 7(4), Glenn Parr 6(4), Andy Amoa-Adams 5+1(3), Dan Wharrier 14+1, Christine Amos-Adams 6(3), Richie Smith 4(3), John Wilson 10(3). Mark Lee 16, Dougie Morgan 9, Gavin Kennedy 12(4), Paul Kelly 12+2(4), Calum Slight 17+2, Neil Swanson 9+2,(4), Ewan Kennedy 3+1(2), Calum Cairney 2(1). Northumbria headed to Greater Manchester to take on Astley and Tyldesley at the well appointed Gin Pit track. The meeting was tight with Northumbria leading by just 3 points after 9 heats. The Vikings were holding on well until the second last heat when disaster struck Gavin Parr. Leading easily on the third lap, his crank snapped in two, managing to free wheel for a lap and a half, he managed to claim a point. Going into the final race, a maximum 7-3 would give Astley a share of the points, but Jason Keith headed home Mark Graham to gain Northumbria's first Division 1 points of the season. Jason was top scorer with a season's best 19 points, but the difference was the addition of Mark Mulvey, who had been talked out of retirement after many years away from the sport. His 11 points were vital. Mark is Manchester based and faced a lot of travelling as he pledged himself to complete the season. Paul Graham 12+2, Stephan Whitelegg 2(2), Mark Graham 9(4), Danny Swales 15+1, Danny Hughes 14(5), Ron Makin 9+2, George Hughes 4(2), Roy Heslop 6(2). Terry Kirkup 10, Gavn Parr 15+2, Ashie Patterson 2(2), Mick Parr 16, Jason Keith 19, Mark Mulvey 11+1, Keith Oldam 1(1), Dan Wharrier 3(2). Northumbria were hoping to make it a double in the Division 2 match, but without star man Dan Redshaw, didn't quite have the strength, and went down by 13 points. Dan Wharrier top scored with 16 points, while Scott Latimer was paid for 15. Ron Makin starred for the home side, dropping just a single point. Ron Makin 18+1, Stephan Whitelegg 10(4), Daniel Burns 3(3), Roy Heslop 15+2, George Hughes 14+3, Ciaran Collins 12+1. Max Evans 9(3), M Snell dnr. Jim Graham 9(4), Christine Amos Adams 6(4), Ashie Patterson 7+2(3), Dan Wharrier 16, Scott Latimer 14+1, Keith Oldham 6+1(3), Neil Magee 4+1(2), Andy Amos-Adams 6(4). View of the well appointed Gin Pit track, Vikings riders first and third. Newcastle hosted the second round of the 2013 Orchid Euro Vets Individual. This competition is in aid of the male cancer charity "Orchid", and is open to any rider over the age of 40, It is an informal concept, where any eligible rider can turn up on the day and ride. Meetings are held throughout the UK,with scores combined to find the overall winner. Over 40s A Final: G Parr, Griffiths, Keith, M Parr. Over 60s B Final: Graham, Carson. The return meeting against a weakened Astley and Tyldesley proved to be an easy win for Northumbria as they cantered to a 40 point win. Making his home debut, Mancunian Mark Mulvey almost remained unbeaten, only a bike failure in his last race spoiling things. Unbeaten for tthe home team were Gavin and Mick Parr and Terry Kirkup from his four rides. Keith and Redshaw were both well among the points. With Astley failing to provide a race winner, their top rider was Paul Graham, who twice team rode partner Becky Heslop to second places. Jason Keith 15+3, Mark Mulvey 17, Gavin Parr 20, Terry Kirkup 12+4(4), Dan Redshlaw 11(4), Mick Parr 18+2, Keith Oldham 2(2), Fred Mitchell dnr. Paul Graham 11+2, Becky Heslop 9, Mark Graham 9+2(4), Steve Mills 7(4), Roy Heslop 7, Ron Makin 9 Mike Hack 3(2). The Division 2 encounter was a much closer affair with Northumbria not taking the lead until heat 11. A 6-4 and a 7-3 in heats 13 and 14 saw Northumbria home. The Vikings scored solidly throughout, as did Astley, but the edge was with the home side. Fred Mitchell 14(4), Scott Latimer 9(4), Dan Wharrier 10+1(4),Andy Amos Adams 10+1(4), Jim Graham 13+1(4), Christine Amos-Adams 7(4), Andy Knowles 7+1(3), Norman Carson 7(3). Steve Mills 8+2, Mike Hack 14, Mark Graham 13+1, Roy Heslop 12+2, Ron Makin 14+1, Becky Heslop 11. Sheffield were the next visitors to Cramlington, and despite putting up a strong performance, went down by 9 points. After 12 races Sheffield were only adrift by three points, but a 6-4 and a 7-3 put the home side 9 points up. Sheffield then hit back with a 7-3 of their own in heat 15. Two 6-4s to finish the meeting saw Northumbria home. Zac Smurthwaite was top man for Sheffield, but had no answer to Gavin Parr 20 and Jason Keith 19. Terry Kirkup also impressed with a brace of wins. On holiday Mick Parr luckily was not missed. Gavin Parr 20, Dan Redshaw 8+1, Terry Kirkup 14+2, Jim Graham 9+1(4), Jason Keith, Scott Latimer 6(4), Dan Wharriern10, Fred Mitchell 8+1(3). Liam Webster 9+1, Karol Mikolajczyk 5(3), Kyle Holland 12+1 Zak Smurthwaite 14+2, Matt Parrott 9 Richard Hudson 13+2, Rob Mawhood 11(4), Mick Knowles 12(4). Sheffield gained revenge in the second match. Taking the lead in heat 3, their lead steadily increased, and took the win by 19 points. Star man was young James Bunting, With only a few meetings under his belt he powered his way to 4 wins, only dropping points in heat 6 to partner the unbeaten Hudson and Northumbria's veteran Norman Carson. There was also an excellent performance from Ellie Sullivan with a paid 16 score, Carson and Gavin Parr's son, Glenn were best for the home side, with Andy Knowles from Middlesbrough making his debut. Norman Carson 10 +3(4), Glenn Parr 11(4), Keith Oldham 8(4), Christine Amos-Adams 5+1(4), Andy Amos-Adams 8(4), Andy Knowles 6+1(444)Ashie Patterson 8+1(3), Dan Redshaw 9(3). Ellie Sullivan 15+1, Matt Parrott 11+1(3), Billie Owen 9+1, Jack Brownell 4(4), James Bunting 18, Richard Hudson 15+1(4), Zak Smurthaite 6(2), Kyle Holland 6+2(2). 26 May 2013 Northumbria v Sheffield Northern League Division 3 Lost 14-36. 14 Isaac Ferry 10(4), Devon Amos Adams 4(4). Joe Brownell 7(4), Jack Brownell 13(4), James Bunting 16(4). The following week Northumbria made their way to Cookson Park to face Sheffield in the return match. Despite taking an early lead, Sheffield soon put on the pressure, and were eight points ahead at the half way stage. Too many last places was instrumental in the home team eventually going down by 18 points. Gavin and Mick Parr with Jason Keith led the way, with another solid performance from Mark Mulvey. The home side were solid throughout showing their mastery of the pacey track. Radek Handke 19, Luke Morton 7+1(4), Zac Smurthwaite 13+1, Kyle Holland 15+3, Richard Hudson 12+2, Aiden Owen 17+1, Liam Webster 7+1(4), Louis German 9(3). Gavin Parr 19, Terry Kirkup 9+1, Mick Parr 13, Dan Redshaw 5(4), Jason Keith 16+1, Mark Mulvey 10, Jim Graham 5(34), Ashie Patterson 4(3). 2 June 2013 Sheffield v Northumbria Northern League Division 2 Lost 55-95. 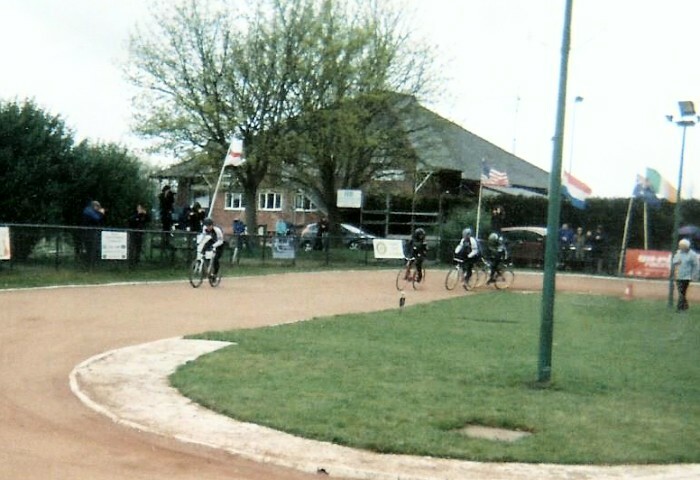 The Division 2 meeting was a disaster for the visitors, Only Dan Redshaw(2), Dan Wharrier and Scott Laitmer were race winners, while the rest of the team struggled against much fitter opponents. Matt Parrott, Niall Morton and Vicky Brown were unbeaten for the home side. A very disappointing 40 point was the end result. Ellie Sullivan 15+2, James Bunting 15+2, Matt Parrott 13+3(4), Mick Knowles 14(4), Niall Morton 13+3(3), Vicky Brown 16(4), Ed Morton 6+2(3), Rob Mawhood 3+1!). Andy Knowles 6(4), Glenn Parr 5(4), Dan Wharrier 9(4), Christine Amos-Adams 5(4), Andy Amos-Adams 6(4), Scott Latimer 10(4), Neil McGee4(3),Dan Redshaw 10(3). 16 June 2013 Heckmondwike v Northumbria Northern League Division 1 Won 83-62. Northumbria journeyed to West Yorkshire to take on Heckmondwike. 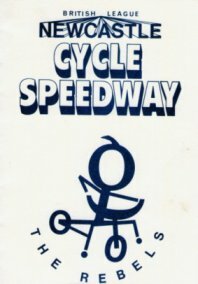 The home team had a problem raising a full side, and they were allowed to ride a six man team over 15 heats instead of 18, and did not partake in Division 2. On match day things got worse, and only five riders were available, this handed an advantage to Northumbria, one that was eagerly taken and they ran out easy winners by 21 points. Home star Darren Kent dropped just one point to Gavin Parr in heat 2, while Jake Wood impressed with 17 points. Gavin Parr was unbeaten, while the rest of the side scored heavily. In fact Northumbria had just three last places. Jake Wood 17 Laura Watson 9+2, Adam Watson 12, Andy Norris 5, No Rider, Darren Kent 19. Mick Parr 17, Mark Mulvey 12+4, Gavin Parr 19+1, Dan Wharrier 9+1, Dan Redshaw 8+1, Jason Keith 18. For Northumbria in the final heat sealed both points for the relieved Vikings team. 5 Hull riders scored double points with Adam Stevens dropping one point and an exclusion in that final race, and a paid 17 from Lewis Aylmer, Gavin Parr (maximum) Jaso Keith and Mick Parr once again headed the home point scorers. Ashie Patterson scored well from reserve, just dropping one point. In fact the home reserves outscored Hull 15+2 to 8+1. Gavin Parr 20, Terry Kirkup 10+1, Jason Keith 16, Dan Wharrier 8, Mick Parr 15, Dan Redshaw10+1, Jim Graham, 5+1(3), Ashie Patterson 9+2(3). Ben Swanborough 13, David Cooper 9+2, Lewis Aylmer 15+2, Sam Schofield 16, Adam Stevenson 13+2, Ryan Harrison 12, Tom Bellis 2(2), Nathan Everett 5+1(4). 23 June 2013 Northumbria v Hull Northern League Division 2 Lost 74-75. In a thoroughly exciting meeting, Hull gained revenge in Division taking the points by the smallest margin possible, one point. The scores changed hands many times, by heat 7 the home time had inched into a 4 point lead. No change until heat 10 when Andy Amos-Adams broke the tapes, Hull subsequently took a 7-2 and an overall one point lead. A 7-3 in heat 12 put the home team ahead, Hull took their own 7-3 in the next. heat. The final two heats were shared and Hull had scraped home. David Cooper was unbeaten for Hull, while Ryan Harrison dropped just one. Northumbria rode with eight riders, and shared the rides around (perhaps to their detriment). A paid 16 for Andy Knowles, and a season's best for Christine Amos Adams topped the home score chart. Norman Carson 7+1(3), Christine Amos-Adams 14, Keith Oldham 11+1(4), Neil Mage 9(3) Andy Amos-Adams 13, Andy Knowles 11+5, Richie Smith 5+2(3), Jm Smith 4+2(2). Charlie Wade 5, David Cooper 20, Ryan Harrison 17+2, Josh Bellis 11, Nathan Everett 16, Katy Greaves 6. Sheffield were holding their round of Orchid Veterans at their Graves track. 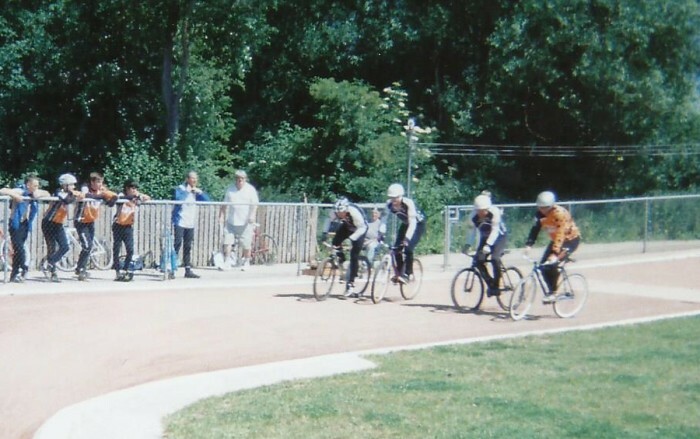 With Sheffield's agreement a Northumbria Division 2 team also travelled and raced at Cookson Park. Strengthened by Division 1 star, Pole Radek Handke, Sheffield proved too strong for the visitors. However, it was an enjoyable experience, especially for newcomer Jack Watson who topped scored for the Vikings. Unfortunately Jack, a multi-talented cyclist had other commitments that precluded him racing on Sundays. Sheffield's young rider, Ellie Sullivan had an excellent meeting winning her first four rides. Dan Wharrier 12+1, Christine Amos-Adams 8+2, Dan Redshaw 10, Simon Watson 5(3), Andy Amos-Adams 5(2), Jack Watson 14, Martin Ballinger 4+1(3), Peter Watson 3(2). 18 August 2013 Northumbria v Stockport Northern League Division 1 Lost 87-92. A big break in league racing (although various meetings were raced, see below), saw ultra-strong Stockport on show at Cramlington. Not quite at full strength with two inexperienced riders at reserve, they still managed to keep their unbeaten record. Northumbria ran them however, and had it not been for a couple of falls by Mick Parr in decisive races could have pulled off a shock win. Gavin Parr rode strongly, but even he had to give way to flying brothers, Matt and Jack Lush. Jack Lush dropped his only point in his last race to Jason Keith.After 15 heats there was only one point between the sides, but a soul destroying 7-3 in heat 17 sealed the points. Stockport remained unbeaten in the league, but records show this was the closest they came to losing. Michael Parr 14, Terry Kirkup 8+1, Jason Keith 17, Andy Knowles 5+1(4), Gavin Parr 18, Dan Wharrier 9, Dan Redshaw 10+1(4), Jim Graham 7+2(3). Jake Read 11, Connor Simpson 13+2, Terry Norman 16, Joe Pickford 11+3, Jack Lush 19, Matt Lush 15+3, James Barry 4(3), Georgina Healey 3(3). 18 August 2013 Northumbria v Stockport Northern League Division 2 Won 65+ 39 penalty points 104-85. Stockport had little chance in the Division 2 clash, as they were forced to use ineligible division 1 riders, Jake Read and Jack Lush, and losing 19 points as a result. Connor Simpson scored a fine 20 points, helped by Lush (5 bonus points) and Read. Joe Pickard dropped just one point to Dan Wharrier who was Northumbria's top scorer. Northumbria kept getting enough vital points to ensure victory, despite losing by 20 points on track. Dan Redshaw 12+1, Jim Graham 8+3(4), Scott Latimer 10, Norman Carson 11+2(4), Neil Magee 5(4), Dan Wharrier 12(4), Andy Knowles 5+2(3), Terry Kirkup 2(1). 65+39= . Jack Lush 15+5, Connor Simpson 20, Jake Read 19+1, James Barry 5, Joe Pickard 18+1, Georgina Healey 8. 1 September 2013 Edinburgh v Northumbria Northern League Division 1 Lost 71-108. Mick Parr 11+1, Andy Amos-Adams 5(4), Jason Keith 15, Jack Watson 8, Gavin Parr 17, Terry Kirkup 5, Dan Wharrier 4(3), Dan Redshaw 6(4). Neil Swanson 15+1(4), Lewis Balsillie 6(4), Marcin Czarowski 11+4, Sean Hewitson 3(3), Kieran Swanson 3(2), Mark Lee 20, Ewan Kennedy 15, Calum Cairney 6+1(3). Jim Graham 12+1, Andy Knowles 11+4, Dan Redshaw 6+1(3), Jack Watson 7(3), Christine Amos-Adams 9, Dan Wharrier 8(3), Martin Ballinger 8+1(4), Andy Amos-Adams 4+1(2). Dave Ball 13(4), Reese Winwood 8+1(4), Lee Kemp 16(4), Mark Winwood 13+3(4), Richard Stevenson 9(4), Jake Ryan 4(4). Dan Redshaw 12(4), Christine Amos-Adams 10+1(5), Dan Wharrier 12+1(4),, Andy Amos Adams 10+2(5), Jason Keith 5(3), Scott Latimer 12+1(4), Jim Graham 4+1(2). Mick Parr 16(4), Andy Amos-Adams 4(3), Gavin Parr 18, John Wilson 13+1, Jason Keith 15, Terry Kirkup 12+3, Jim Graham 4+1(2), Dan Redshaw 1(1). Pavel Idzorek 17+1, Darren Kent 15, Adam Watson 9, Justin Naylor 4(4), Jake Wood 12, Laura Watson 7(4), Andy Norris 2(2). Held at Bury as Northumbria's track was unavailable due to new track being laid. 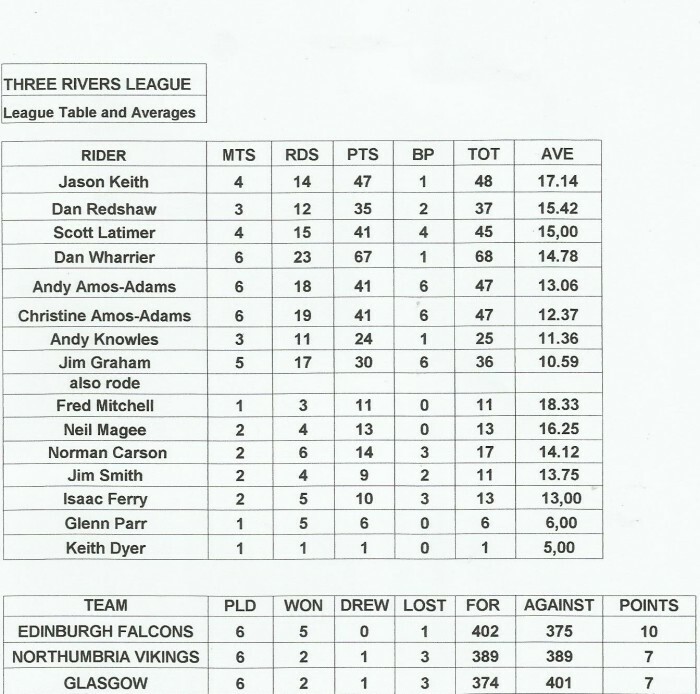 The Three Rivers League was the brainchild of team managers Neil Magee (Northumbria) and Steve Gilroy (Edinburgh. The idea was to give more meaningful meetings to second team riders and newcomers. Glasgow had entered the Northern League this year, but only at Division 2 level, so it would hopefully help their development. Racing would be ridden at each track, and feature all three teams racing against each other. The rules were fairly lax with guests (for Glasgow), and some senior riders taking part. The end result was a great success, and would be continued in the following years. 28 September 2013 Northumbria v Glasgow Three Rivers League Drawn 65-65. Raced at Northumbria. Website owner Keith Dyer says: As well as team matches, there was also a number of individual meetings. Results are shown below. A Grand Prix style of individual was continued from 2012.. 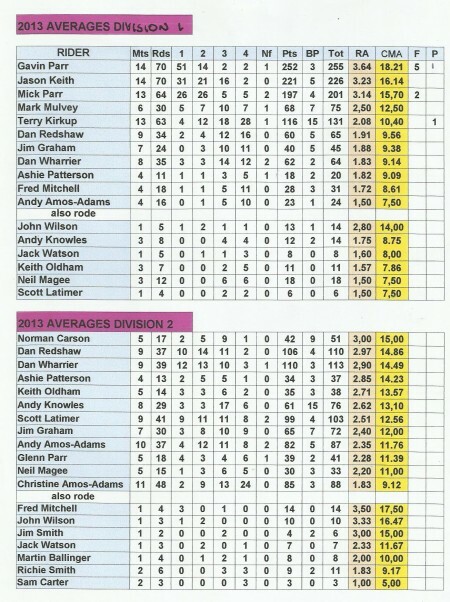 Devised by Team Manager, Neil Magee, riders were given a handicap total based on their current average. The idea being that all riders could finish with around the same scores by the end of the meeting. At the end of the meetings points would be totaled, and a winner proclaimed. As it turned out only two meetings were held. Totals shown are points from the first meeting plus bonus. 4th Gavin Parr 40 Scratch rider Gavin Parr starting with no handicap points was unable to catch the top three, although he was unbeaten on the track. Ashie Patterson & Dan Wharrier beat Dan Redshaw & Jim Graham. A 12 man Individual was held, Missing were Gavin and Mick Parr, so the favourite was fellow top man, Jason Keith. He did not disappoint and duly was top man with an unbeaten 20 points. Second was Fred Mitchell, with third for Jim Graham after a run-off with Dan Redshaw. Terry Kirkup crashed in his first ride, and was forced to pull out. The handicap meeting was held for the second year. 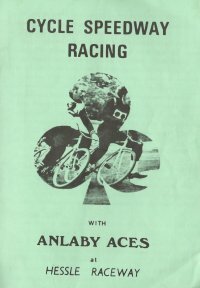 The programme consisted of 10 riders over 12 heats. This was followed by an A, B and C finals. Points were totalled to decide the positions. Positions decided by placing in the finals, so a win for the unbeaten Jason Keith from Wharrier and Patterson. 2013 was a successful season for the team. 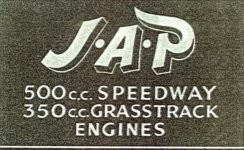 The track was finished, and was among the best in the League. Northumbria finished a very satisfactory 6th place out of 8 in the 1st Division, In Division 2 5th out of 7 was another fine performance. As far as individual performances were concerned, Gavin Parr came 6th, Jason Keith was 13th and Mick Parr 20th. In Division 2, top man Dan Redshaw was 21st, Dan Wharrier 22nd, Andy Knowles 26th and Jim Graham 27th.